Canadian life and health insurers are coming together to offer a new drug pooling framework, which they say will help to protect benefits plan sponsors and members from the financial impact of high-cost drugs. The framework, which came into effect January 1, involves insurers banding together in order to share the costs of expensive and recurring drug treatments. Participating insurers will set premiums for fully insured employer drug plans, without including any pooled high-cost drug claims. This will shelter employees from potentially losing their employer-sponsored drug coverage due to a high cost claim – something that was increasingly a risk for those employed by small and medium-sized businesses. In fact, a survey by the Canadian Life and Health Insurance Association (CLHIA) found that a third of small and medium-sized businesses would consider making changes to their drug plans if premiums were to jump by 25%. And the likelihood of premiums jumping due to high-cost drugs is significant. 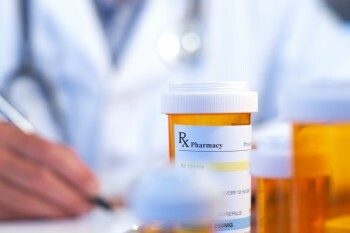 The CLHIA reports that in 2010, Canadian insurers paid out $9.5 billion in prescription drug costs. Of those, close to 2,000 claims had an annual cost in excess of $25,000. “This agreement will help ensure that Canadians with fully insured employer drug benefit plans can continue to access the drugs they need and is particularly beneficial to small and medium-sized companies that provide such coverage to their employees,” said the CLHIA in a statement. According to the CLHIA, 23 insurance companies across Canada – representing 100% of the supplementary drug market – have committed to joining the framework. “It is the industry’s view that no Canadian should face the prospect of losing their drug coverage due to rare but very expensive drugs costs,” said Frank Swedlove, president of the CLHIA.